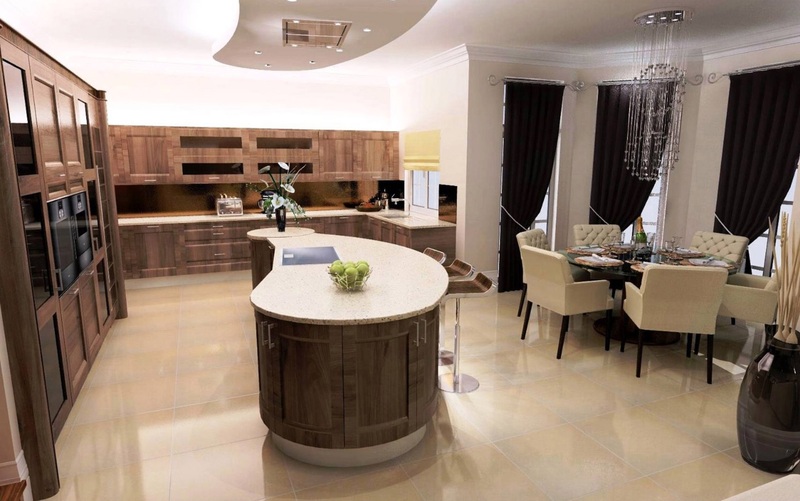 Property developers, Churchill Homes wanted to create a large elite family home of 4,560 square feet situated on Cutler House Road, one of Aberdeen’s most affluent suburbs in Milltimber. 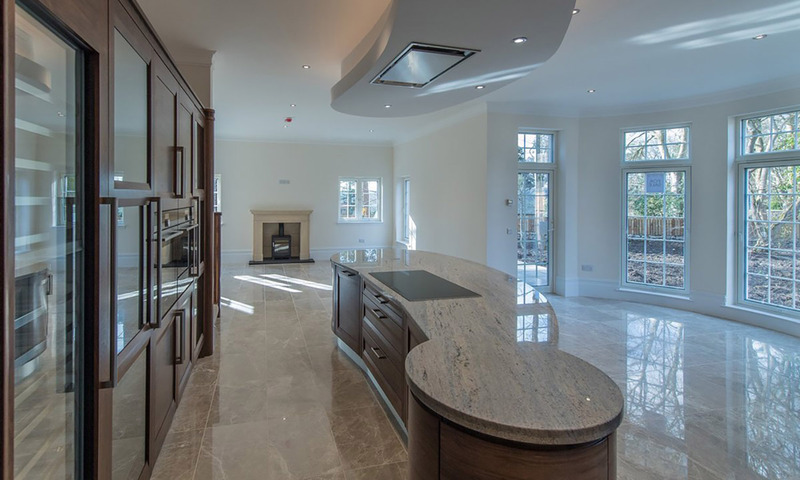 In the heart of the countryside, the developers’ vision was to match the stunning surroundings with breathtaking interiors - this is where Stoneham Kitchens came in. 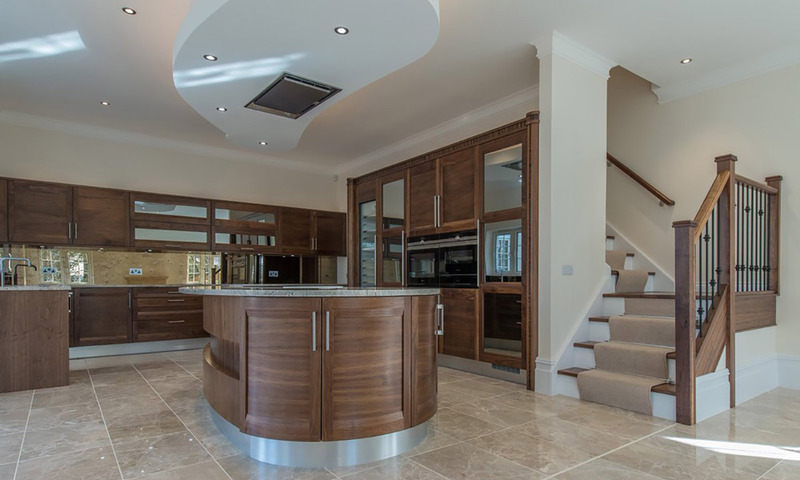 With ample space to play with, a bespoke teardrop shaped island with LED lighting sits in the centre as a focal point of the room - perfect for dining and food preparation. 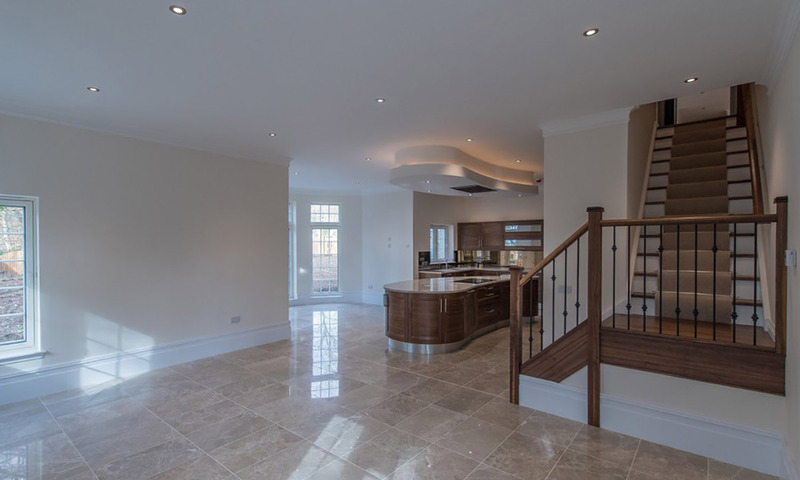 The sweeping curves soften the overall design add contrast to the surrounding rectangular cupboards. Directly above the island and mirroring its shape is a complementary ceiling bulkhead with integrated stainless steel extractor hood. “Our vision of a contemporary modern day mansion”.